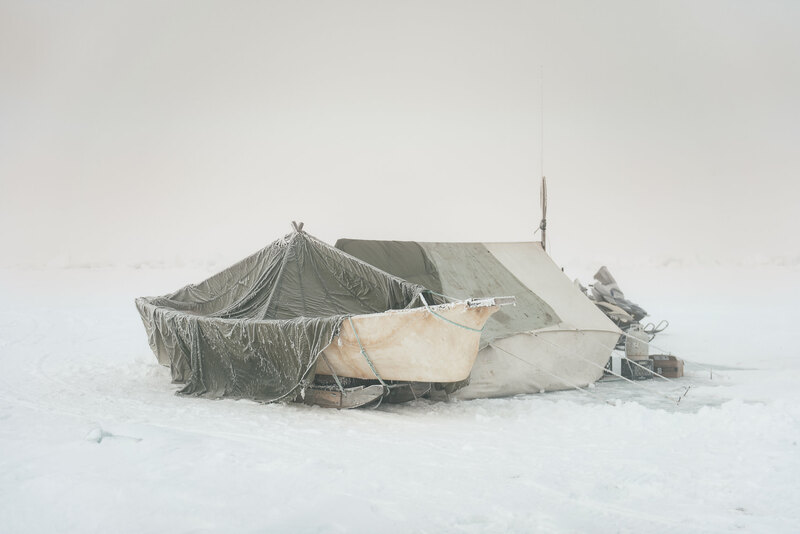 This camp, erected miles out on the sea ice, is the Iñupiaq home away from home. Despite spending months living in cramped and frozen quarters, the captain of Yugu crew prefers it. "It is quiet here." This setup is typical of spring whalers, who spend months on the sea ice waiting for whales by their skinboat.